St Peter's has three different congregations that provide a variety of styles of worship. The ethos of the church is best described as open evangelical. This number of services is possible because of the involvement of many lay people in leading and preaching. St Peter's @ 9:45 is informal with a café style service once a month. The morning service at 11.15 follows common worship and is traditional in style. The Evening Service is a service of the word or communion and aims to provide deeper teaching. A number of people use their musical gifts with a variety of instruments to lead the sung worship. Both organ and more contemporary music are used. A wide range of activities are held during the week. There are house groups, a monthly lunch club, monthly coffee morning and a Trade Justice Group. The practice of meeting for morning prayers each day has developed in recent years and is valued by a number of people. We have links with the community through schools, with clergy regularly taking assemblies at the local First and Middle schools in Winyates. Lay people are involved in running lunch time activities at Ipsley CE RSA Academy. We have been able to promote our Christmas and Easter services at a local supermarket. Much positive contact is made with families through visits relating to baptisms, thanksgivings, weddings and funerals. Scramblers, a mothers and toddlers group catering for non-church children meets weekly. St Peter's meets in an attractive church building, which is approximately 700 years old with evidence of an earlier structure dating back 1,000 years. It is a Grade II* listed building. Total seating capacity is about 130. The building consists of a nave and chancel with a west tower. The north and south aisles were taken down during the 19th Century. The Bell Tower has a modern gantry of six bells which are rung mainly at weddings. In 2008 a new contemporary stained glass window, ´The Holy Spirit´, by Tom Denny, was installed to celebrate the quiet but powerful work of the Holy Spirit, particularly seen in the spiritual and physical growth of the church in the parish during the 30 early years of the Redditch New Town Development. In 2009 the church building was internally refurbished to provide a beautiful, comfortable and welcoming place of worship which speaks of God's love and grace to all people. A large modern Church Centre, including offices, conference rooms, kitchen and storage was built with a link to the north side of the church in 1993. 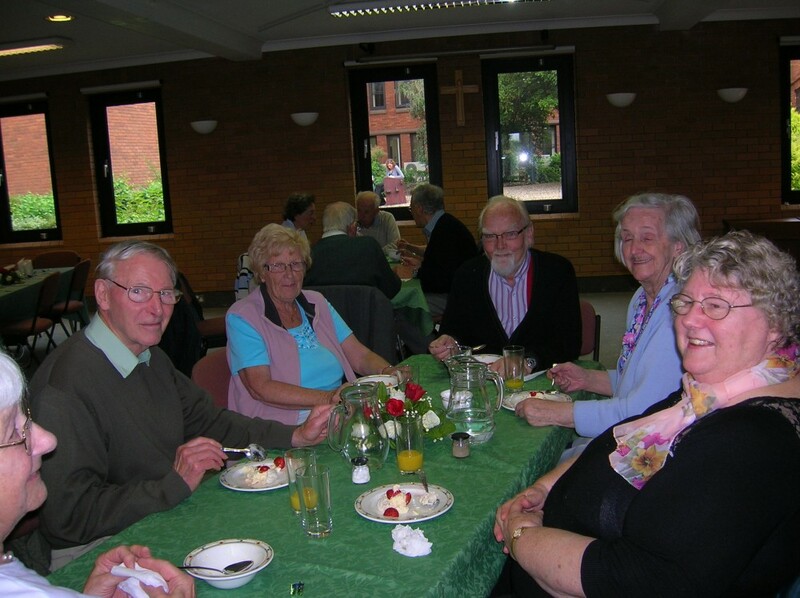 The premises are extensively used by the church, deanery, diocese and community groups.